I am so excited for our parish, the greater community and for what the commissioning of Pasi, Opus 28, means for ministry at Saint George's and outreach in our community. 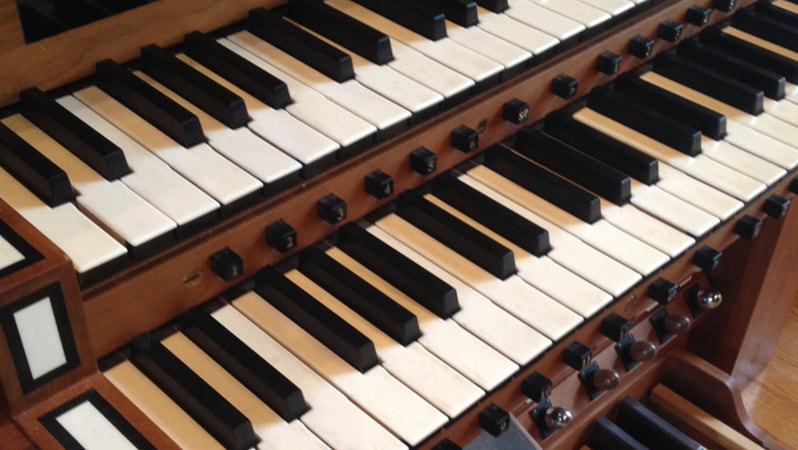 As you may have read in our Senior Warden's letter this week, our vestry approved moving forward with the long-awaited new pipe organ for Saint George's at its last meeting. You can read about the Organ Committee's work several years ago and other background information here. When I arrived in at Saint George's in the late spring of 2009 for my interview, it became immediately apparent that Saint George's valued its music ministry, recognized music's importance in our faith lives and worship, and that there was a very strong desire to grow this ministry in dynamic and meaningful ways. As our choirs have grown and blossomed these past years - both in numbers and musically - we have increasingly become aware of how inadequate our instrument is in supporting the beautiful music these ensembles make. As I lead you all in congregational song each week, I have become intimately aware of both the technical challenges and tonal limitations of our instrument for leading your glorious hymns of praise and prayer. Our new instrument (Opus 28), built by Martin Pasi and team Pasi Organbuilders of Roy Washington, will change all of that. Our nave will be graced by a beautiful new instrument, a work of art lovingly handmade for our community and nave using time-tested practices. Our instrument is designed with our ministries and worship in mind both today and into the future. It will be one that inspires our grandchildren's grandchildren as it continues to lead the church's song in this place. It will be an instrument that inspires and leads congregational singing with clarity and sheer beauty. It will be an organ that fully supports our choir's work and becomes and equal partner in these proclamations. It will not only be an instrument that leads our holy praises and prayer and inspires us to a deeper faith, but a gift to our community which invites them in to the holy mysteries of God. Because Martin Pasi's shop builds one instrument at a time, our instrument will not arrive until the Fall of 2020. It will take 14 months to build once construction is started. The building of an organ is a fascinating and beautiful thing, combining a variety of trades and fine craftsmanship. I encourage you to check out Martin Pasi's website to not only see his beautiful instruments, but to watch the many videos which show his team making pipes and building an instrument. It truly is an exciting and amazing thing! I look forward to this journey with you as we watch Opus. 28 come to life and become a part of this community's generous work to love God, serve others, and change the world. 1995 Martin Pasi - Trinity Lutheran Church, Lynnwood, Washington, USA Martin Pasi is one of very few American organ-builders who is capable of recreating the sound of 18th and 19th century European organs in the new organs he builds. His organs and all pipes are hand-built in his shop in Roy, Washington.